Giacomo Antonio Luca is an MSJ at ABC10 in Sacramento, Calif., specializing in general news reporting. Giacomo is a multiskilled journalist who joined the ABC10 team in August, 2016. 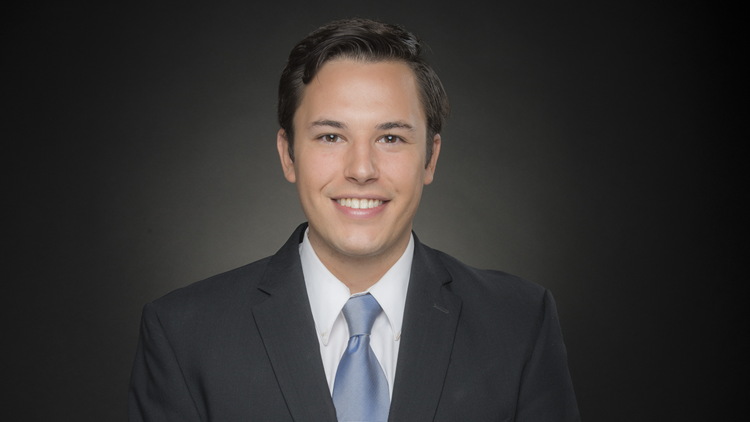 Before making the Golden State capital his home, Giacomo worked for two years as a Southern Illinois Bureau reporter with KFVS-TV where he reported on the unprecedented year-long budget stalemate that cut off vital public services to Illinois’ most vulnerable citizens. He covered historic flooding along the Ohio and Mississippi rivers in early 2016 and was one of the first to report the murder of Kentucky State Trooper Joseph Ponder during a traffic stop. A Midwest native, Giacomo is second-generation Italian-American who grew up on the west side of Cincinnati, Ohio. His curiosity and passion for writing took him to Chicago where he earned his Bachelor’s Degree in Journalism with a minor in Legal Studies at Roosevelt University. His on-air career began while still at university - he commuted eight hours each weekend to anchor for Lima’s WLIO-TV in West Central Ohio. Giacomo also completed television internships in with WAWS-TV in Jacksonville, WXIX-TV in Cincinnati, and Tribune’s Chicago superstation WGN America. Giacomo is a recipient of the John R. McClelland Reporting Award, an Illinois College Press Association Award, and the Curtis D. MacDougall Scholarship for journalism. When Giacomo isn’t hunting down leads he enjoys photography, bicycling, rock climbing, and traveling.